ENBD REIT (CEIC) Limited, the Shari’a compliant real estate investment trust managed by Emirates NBD Asset Management Limited, has opened the Souq Extra Retail Centre in Dubai Silicon Oasis. The opening ceremony was attended by the REIT’s chairman, Tariq Bin Hendi, and Saleh Saeed Lootah, chairman of Souq Extra. 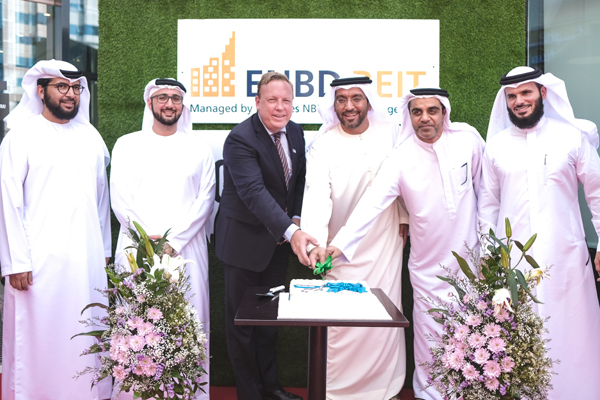 ENBD REIT acquired Phase 1 of the development in December 2017, with 100 per cent occupancy including blue-chip tenants Carrefour Market, KFC, McDonald's and Starbucks. ENBD REIT acquired the community retail centre at a gross yield of 9.9 per cent and net yield of 8 per cent. Phase 1 has 36,000 sq ft of gross leasable area comprising 42 fully-let retail units. The REIT has also agreed on terms to acquire Phase 2 of the development on completion in the last quarter of 2018, at an 8 per cent net yield. Phase 2 will comprise a 77,000 sq ft expansion with a floating glass roof utilising sculptural and geographic forms to create a natural light environment transitioning between day and night atmospheres. The retail strategy focuses on core community services including a regional medical centre, a popular children’s nursery, a well-known fitness centre, activity-based entertainment concepts, premium F&B and fast-casual indoor and outdoor dining concepts, a statement said.